Well, this should be good. 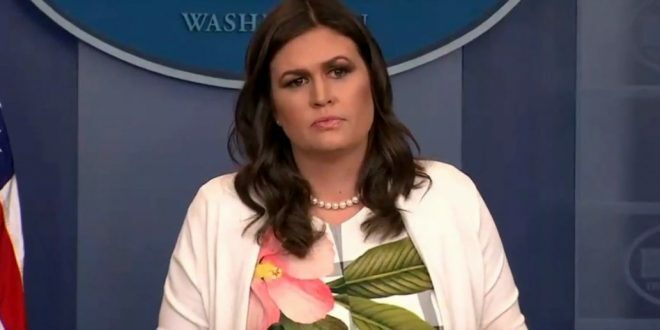 The White House will hold a press briefing Tuesday afternoon with press secretary Sarah Sanders. The briefing is scheduled to start at 2 p.m., EST. Plowing into the sexual harassment debate in a big way, President Donald Trump laced into Sen. Kirsten Gillibrand on Tuesday, tweeting that the New York Democrat would come to his office “begging” for campaign contributions and “do anything” to get them. Democrats accused the president of making unsavory insinuations. “I will not be silenced on this issue,” Gillibrand insisted. “Neither will the women who stood up to the president yesterday,” referring to women who have accused the president of sexual misconduct.